The sleek yet robust Palissade armchair is a member of Hay’s versatile outdoor furniture collection. 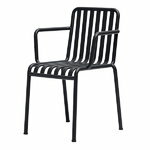 Palissade outdoor furniture features a strong, graphic design that consists of simple steel tubes and slats. Ronan and Erwan Bouroullec worked with the collection for two years and created a range of simple, balanced pieces that are well suited for terraces, balconies, gardens, cafés and public spaces. 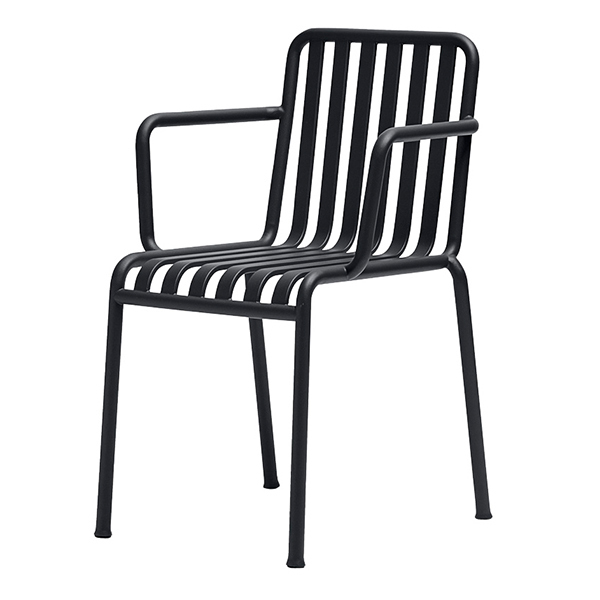 The Palissade chairs, tables and benches are sturdy but elegant, and perfect for outdoor use, since wind and water will pass through the galvanized steel frame. The Palissade furniture was designed to age well and its muted colour palette adds to the timeless and versatile appearance.